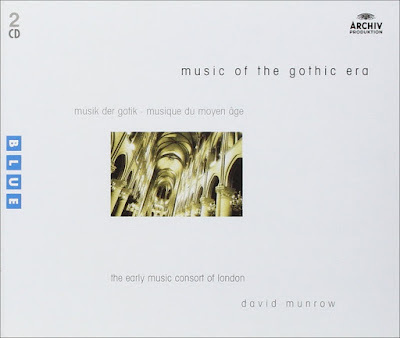 Writing an earlier post The art of the classical maverick prompted me to listen again to David Munrow's 3 LP box Music of the Gothic Era recorded for Deutsche Grammophon shortly before he took his own life in 1976. What is immediately striking is how fundamentally different these performances of Leonin, Pérotin and their contemporaries are to today's approved 'authentic' interpretations. Amazon reviewers reprimand Munrow for being 'dated', for 'overblown instrumentation', for using 'bells, fiddles, lute, bandora, psaltery, harp, organ, percussion, cornetts, recorder and shawms', and for having 'the mindset that everything must be accompanied by some mentalist walloping away like mad on the tabor and a cacophony of other instruments'. Yet David Munrow attracted radio and television audiences and generated record sales that today's classical industry would die for. Isn't there are a lesson to be learnt here? In an earlier post I wrote about how the pendulum has now swung too far in the direction of the classical fundamentalists who dictate via the mob-throb of social media not only what we listen to, but who plays it and how it is performed. Another dissenting post suggested that new classical audiences want more bang for their bucks and it seems that David Munrow's mentalist walloping away on his tabor delivered what new audiences wanted back in the 1970s. Aren't authentic performances just another silly convention? Does it really matter what the classical fundamentalists think when politically incorrect Machaut and other aberations such as big band Bach contributed to an Indian summer of recorded classical music. Since then the promised digital long tail has turned into a long wail for the demise of the maverick. The blandness of our algorithmic age is evidenced perfectly by how Universal Classics ditched that stunning 1976 LP artwork seen above for the anodyne CD packaging below. The effort to return to some sort of authenticity in classical music is not some fad. If you can't hear the important difference between, say Karl Boehm's Mozart and John Eliot Gardiner's you should have your hearing checked. To impose a bloated late 19th Century sound on all classical music was stupid. My earliest memories are Stokowski, with his transcriptions, trying to find a way to interest his audience in Handel, who you would never heard in a concert series ever. Now thanks to the original efforts of many, the vast history of classical music is available to hear. For example, we now understand that Monteverdi is one of great composers who ever lived. The movement toward historical authenticity, and the changes it made, is perhaps the most significant movement in classical music in my lifetime. Frank, this thread is not about there being no difference difference between, say Karl Boehm's Mozart and John Eliot Gardiner's. It is about David Munrow attracting radio and television audiences and generated record sales that today's classical industry would die for, and isn't there are a lesson to be learnt? I note that you are a writer for an online classical music magazine. Your ill-mannered assertion that "If you can't hear the important difference between, say Karl Boehm's Mozart and John Eliot Gardiner's you should have your hearing checked" simply reinforces my concerns about self-opinionated classical fundamentalists. 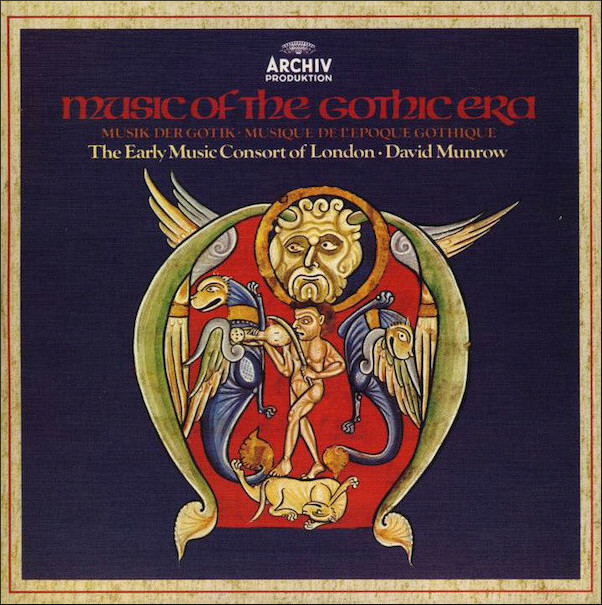 Sadly I am too young to remember Munrow, but as a young adult I heard re-runs of his Pied Piper series on Radio 3 in the eighties, and they were truly ear- and mind-opening, not least in the way they leapt with ease across centuries and genres. I remember a programme about the trombone that ranged from Renaissance sackbut consorts to Miff Mole and the Molars and then to Luciano Berio. Early music, trad jazz and, heaven help us, Berio - on a programme for children! Who would do this now?